Edmund Webb has a strong community and support system. Details will be posted on the Boarding SPACES page and mentioned at the weekly meetings. As a small Boarding community, we encourage boys to support each other whenever possible. It is expected that boys might look to teach others a skill that they themselves possess, such as music or coaching in a sport. We believe that the camaraderie between the boys is what makes Boarding at Edmund Webb such a fulfilling and rewarding experience. We assign the boys buddies to help them with the transition into the Boarding House as part of a larger support network. All boarders are required to have a Sydney-based guardian or host family who will be responsible for the student when out of the Boarding environment. Guardians must be over 25 years of age and available to care for students in any emergency, such as illness or injury and must be readily contactable by phone and be fluent in English. Being away from home on your birthday can be hard. In the Boarding House we try to help make this day memorable by celebrating with some ice cream, songs and speeches. Parents and guardians can send gifts to the Head of Boarding as a surprise to pass on. A range of activities are arranged for boarders to participate in during the course of the year. BBQ and activities with neighbouring schools and even a wander for some local gelato! There are also ‘internal’ activities such as going as a group to the pool or socials held with local girls’ schools. The House Leaders also organise events that take place on a Thursday evening each week, such as Basketball, Touch Rugby, Cricket, Soccer, Billiards and Table Tennis. The Head of Boarding will inform parents of upcoming outings through the Newington College Spaces website. All boys are expected to participate in outings as they help build strong friendships. If parents do not wish for their son to participate in an activity they must inform the Head of Boarding prior to the outing/activity. Throughout its long Boarding history, Newington has been home to a warm community of boys from a range of backgrounds – from country boys to sons of expat families overseas, to those living on the outskirts of the Sydney basin. The boys at Edmund Webb have a support network and family away from home. When Newington opened its doors in 1863 at its original site in Silverwater, far from Sydney’s urban areas, it was an entirely boarding establishment. After moving to Stanmore, The Founders Building became home to boarders at the College and remained so until Edmund Webb House, just two streets from the Stanmore campus, was opened as the Senior Boarding House in 1998. 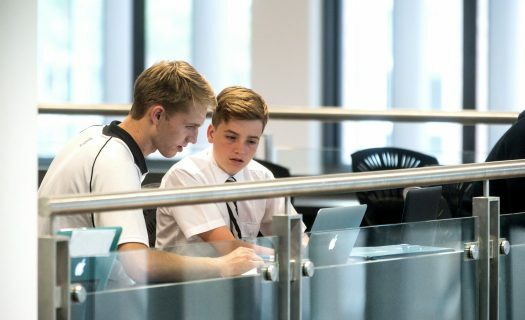 Today, Edmund Webb is home to 50 boarders; a diverse community of boys from a range of backgrounds– local, regional and international locations. With approachable staff, regular weekend trips and an immediate group of friends for a kick about after prep, there is a community spirit at Edmund Webb; boys have a support network and family away from home. Sixteen boys’ families live overseas, including four in Singapore, a country that has a strong connection to Newington. Old Boy Reunions are held in Singapore and recently 12 Old Boys were in attendance. Also the Storr Scholarship interviews, which provide a boy from Indonesia, Malaysia or Singapore who has a passion for Music, with a full Boarding scholarship, are held in Singapore. Headmaster Dr David Mulford and Head of Music Mr Mark Scott recently joined boarders’ parents for a special function, hosted by generous current Ex-pat parents. Events like this are a great way to bring together current and future Newington families from Southeast Asia.